Easily use sound color therapy to energize, relax, heal or inspire yourself. 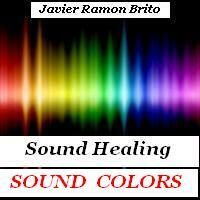 Learn about the natural properties of sound color frequencies and download the healing sounds. What is sound color therapy? How is it different from color therapy? Colors affect you emotionally, mentally and physically. Why? Because color is high frequency energy in motion. Each color has a specific vibration and does affect human cells. You may have already intuitively realized that the colors of the room where you sleep or study does make a difference in your mood, as does the color of the clothes you or somebody else wear. Color therapy or chromo therapy is a visual form of holistic healing that employs the colors of the rainbow and their energetic qualities in order to transform emotional, mental or physical conditions or to stimulate or relax living cells in specific ways. A chromo therapist radiates patients with colored bulbs of lights for a period of time, in order to induce healing. Sound color therapy is an audible form of holistic healing that employs the sound frequencies of the rainbow colors (measured in hertz), in order to transform emotional, mental or physical conditions; either relaxing or stimulating living cells in specific ways. A sound color therapist or chromo sound therapist supplies the needed sound color frequencies to patients through their ears for a period of time, so that healing occurs. In color therapy you see the colors or receive their vibrations in light form. In sound color therapy you hear the color frequencies and receive their healing vibrations as sound waves. The sound frequencies of the rainbow colors (measured in hertz) go from 470Hz to 700 Hz. Each color has a very specific and precise frequency that must be used to produce the desired healing effect. Scientific precision is the key. What are the healing effects of sound colors? The Red sound color (470 Hz) enhances physical force, strength, sexual power and courage. All the attributes of your first chakra. It is therefore useful to stimulate, energize and strengthen vitality and will power. It also stimulates your circulation and hemoglobin and raises your body temperature. Red is a physical color. Used in excess, it can be over-stimulating and induce tension, anger or stress. The Orange sound color (500 Hz) relieves depression and has healing properties for the Spleen, Pancreas, Adrenals, Kidneys, and your second chakra at large. Some healers use it to heal gout, inflamed joints or rheumatic aches, asthma, bronquitis and coughs. Orange is a joyful color that combines red (a physical color) and yellow (a mental color). In excess, it can be over-stimulating, so it should be used in balance. The Yellow sound color (520 Hz) stimulates the intellect. It is a mental color that works with your third chakra. It stimulates the brain and the nerve centers. It favors knowledge and intelligence. It has healing properties for the Stomach, the Intestines and the Liver. If used in excess, it can over-stimulate the nerves. The Green sound color (570 Hz) is considered the color of love, balance, healing and cellular activity. It works with your fourth chakra. It has healing properties for the sympathetic nervous system and the heart. It helps to normalize blood pressure or cardiac conditions and is useful for influenza and respiratory conditions. As green stimulates cellular activity and growth, many considered it inappropriate when a person has malignant growths or tumors. The Blue sound color (620 Hz) is relaxing and cooling. It can also help to induce sleep. Its healing properties are useful to reduce fevers and high blood pressure. It is good for throat problems, since blue works with your fifth chakra. It is considered a spiritual color. Some healers use it to stop bleeding, headaches, vomiting, hysteria, acute rheumatism and insomnia. Blue is a calming sound color, so it may not be appropriate for people who are sad or depressed. The Indigo sound color (640 Hz) inspires and help broaden the mind. It works with your sixth chakra (the third eye chakra). It helps to stimulate the Pineal gland and influences your organs of sight, hearing and smell. It is also helpful to free your mind from fears and inhibitions. Indigo results from combining blue (a spiritual color) and violet (a metaphysical color). It is thought to clean the physic currents of the body. The Violet sound color (700 Hz) is a metaphysical color. It is linked to the Pituitary gland (the center of spiritual understanding) and to your seventh chakra (the crown chakra). It is considered the highest vibration of all colors and sound colors. Its healing properties are useful for all mental and nervous disorders. Healers use it to neutralize neurosis and and neurotic manifestations. It is a soothing, tranquilizing color. It can be cold and depressive if used in excess. Is there a practical way to use these sound healing frequencies? Since the science behind these healing sounds resides in their exact frequencies measured in hertz, I took interest in producing these exact frequencies, in their pure vibratory form, in my recording studio. I did not add any music or special effects to these frequencies because, had I done that, you would not be able to clearly distinguish one thing from the other. These are the pure, "organic", unaltered, electromagnetic vibratory healing sound frequencies of each of the rainbow colors. I have recorded the seven sound color frequencies and offer them to you as a convenient downloadable set at the end of this article, so you can enjoy their healing properties while you listen to them. Sound color therapy is easy to use. If you want to energize yourself, choose the red sound color frequency. If you want to relax yourself, choose the blue one. If you have second chakra issues, choose the orange one. If you want to simulate your intellect, choose the yellow one. If you want to focus on healing and love, choose the green one. If you want to broaden your mind, choose the Indigo one. If you are looking for inspiration, choose the Violet one. You can listen to these frequencies for as long as it feels comfortable to you. Use your intuition. You can also do some toning while you listen to the frequencies (by vocalizing the sounds) in order to further increase your personal resonance with these frequencies. When you check out with the secure payment server using your PayPal balance or your credit or debit card, you immediately get the download link. You also receive in your inbox an instant email with the link to download these frequencies. Listen to these frequencies for healing purposes on your PC, Mac, IPod, MP3 Player, or iPhone. Or burn a CD for your home stereo. Use headphones to benefit the most from these frequencies. Enjoy them.